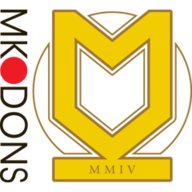 Stephen Gleeson missed the decisive spot-kick as Brentford beat 10-man MK Dons on penalties in the JPT following a 3-3 draw. 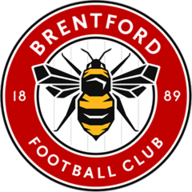 Gleeson blazed his spot-kick over the bar after Darren Potter had seen his penalty saved by Bees keeper Richard Lee, while Gary Alexander, Jonathan Douglas, Jake Reeves and Mike Grella netted their efforts for Brentford in a 4-3 spot-kick victory. The Dons dominated the first half and ex-Bees striker Charlie MacDonald headed in Jay O'Shea's near-post corner for his second goal in as many games to put the hosts ahead after 19 minutes. Adam Thompson headed home Harry Forrester's deep corner to level for Brentford but Luke Chadwick restored the Dons' lead just three minutes later, bursting through the defence to drill a fine low shot past Lee for his fifth goal of the season. The Dons were dealt a blow on the stroke of half-time when Shaun Williams was shown a straight red card for hauling down Myles Weston as he raced clear onto a long ball. Brentford seized control and Alexander made it 2-2 in the 56th minute when he latched onto Forrester's defence-splitting pass to poke the ball past David Martin. Alexander then bundled in Craig Woodman's free-kick to complete his brace in the 81st minute but Douglas turned George Baldock's fizzing cross into his own net to gift the Dons a leveller four minutes later and set up the shoot-out drama.